Provide Conservatory training to students in preparation for college entry exams, competitions, and festivals. Conservatory training in piano for children, teenagers, and adults. 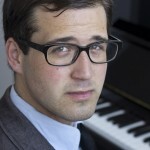 Mr. Adkisson holds advanced degrees in piano performance including a Bachelor of Music from Cornish College of the Arts in Seattle, and a Master of Music from The Boston Conservatory of Music. He additionally pursued French Studies at Harvard University. Mr. Adkisson studied on scholarship with distinguished pianists Dr. Peter Mack and Dr. Jonathan Bass, graduates of the Cincinnati Conservatory, Julliard, and Jacobs School of Music. He has worked with eminent pianists Christopher O'Reilly (NPR's From the Top) and Brian Zeger (Metropolitan Opera), violinists Joseph Silverstein (Boston Symphony Orchestra) and Lynn Chang (Boston Chamber Music Society), and acclaimed author and neurologist Dr. Oliver Sacks (Musicophilia). Mr. Adkisson has performed at such prestigious musical centers as Benaroya Hall in Seattle and Seully Hall in Boston. The recipient of multiple prizes including MTNA Young Artist Chamber Music Award and the Boston Conservatory Honors Chamber Music Award, Mr. Adkisson’s playing has been acclaimed for its passion and color. With more than ten years of teaching experience, Mr. Adkisson has served on faculty at Cornish College of the Arts, Eton School in Bellevue, Ballard Academy of Music, and DaCapo School of Music in Renton. Currently, he is on faculty at the Chopin Academy of Music in Issaquah. Let others know about Chopin Academy Of Music . Did this teacher help you to learn? How long did you take lessons? Are you still playing music? Share any thoughts or stories you have so that others can know about this teacher!